Anyone who embarks on an MBA will tell you the same things: you’ll make lifelong friends, visit many, new places, and take fascinating classes, all while miraculously securing that dream job. I admit, this makes the process of deciding where to go quite challenging. If all experiences are so spectacular, then why go to a specific school at all? Well, as with any kind of school or professional choice, culture ends up being quite important. Many schools may be similar, but none are absolutely the same. In my view, what makes Wharton particularly special is its ability to offer a broad and diverse experience that can appeal to many people. We offer the case method and lecture-based classes. We have dual-degree programs and the ability to take courses across schools and disciplines (I took a class at the Law school my second year). Consequently, job prospects cater to a wide array of interests, in a way that, I believe, not many schools can boast. Wharton also appears to be shifting its image as well - from being a school for Finance to a school that excels in other areas. Wharton recently launched a Data Science major, for example, and has minted a number of successful entrepreneurs, including the founders of Warby Parker. Employment statistics are also indicative of the school’s diverse culture. Taking a look at the most recent employment statistics, the top 5 industries are Financial Services, Consulting, Technology, Consumer Goods & Retail, and Healthcare, with 35%, 26.6%, 12.6%, 7.2%, and 5.2% of the student body going into those fields post-MBA, respectively. While Wharton remains a strong feeder into the financial services industry, the fact that quite a fair amount of people are venturing into other fields is an important point. Wharton’s diverse student body is reflected further in the number of countries it represents - 71 in total. Different languages can be heard in the hallways, and country-sponsored events, like the Argentinian Asado and Russian Revelry, are the best-attended of the year. Classroom discussion is enriched ten-fold by having the experiences of classmates from such countries as China, Turkey, Germany, and Brazil. This kind of student body in turn attracts important speakers that hail from all over the country and the world. In my time at Wharton, I attended talks with Mark Cuban, Peter Thiel, Stephen Schwarzman, Howard Marks, Amy Cuddy, Gary Kasparov, Ben Bernanke, Lazlo Bock, Eric Schmidt, and Jonathan Rosenberg. 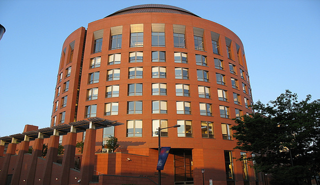 What made Wharton particularly special, though, was being part of the Lauder Institute, in which students complete an MA degree in International Studies alongside the MBA. The Institute is made up of a small and incredibly varied group of people – about 60 in total – who are passionate about languages and other cultures. For me, being able to contextualize the business education within an international framework made my experience at Wharton illuminating. Are you working on your MBA applications and feeling a little lost? We approach MBA admissions holistically, meaning we can help you with GMAT preparation, planning your MBA timeline, and even with composong your essays. Interested in hearing more?